Due to changes in legislation from January 1st 2015, we are unable to sell writing courses after December 31st 2014, so we have decided to heavily discount our current writing courses. Please note that we will still provide full tuition and support throughout irrespective of the completion date. This writing course is specifically designed for those writers who produce their best work by being channelled and encouraged and who would benefit from working closely with an experienced writing tutor. The great advantage to the ‘Weekender‘ course is that the course is best taken at a weekend and this can be organised at any point throughout the year. The course is also designed around ‘your’ needs and aspirations. Simply discuss your needs with the tutor after signing up (whether it be fiction or non-fiction) and plan your writing sessions. 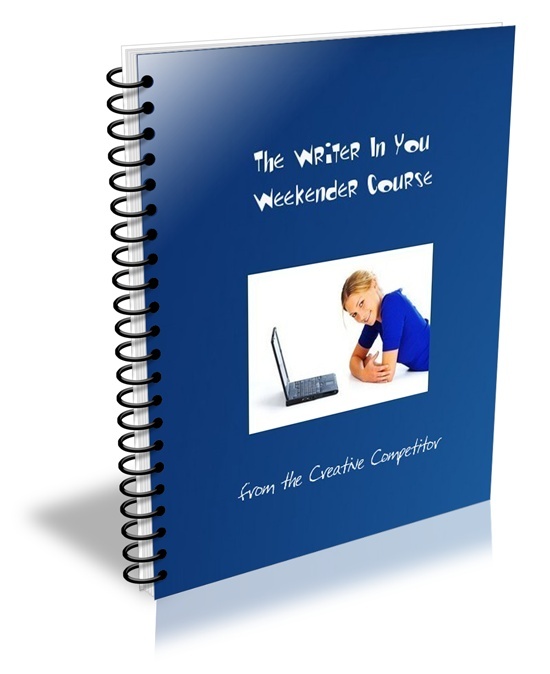 The tutor will design a series of creative tasks and these will be sent by email over the chosen weekend. The tasks will encourage, stretch and get your creative juices flowing leaving you with a feeling of accomplishment. Tutor feedback is also sent at the end of the two days. It is up to the student to complete the tasks within the specified time period as course material cannot be carried over onto additional days. Please remember that this course will not be on offer after December 31st 2014.